CRISPR-Cas9 gene editing strategies have revolutionized our ability to engineer the genomes of diverse cell types and species for the robust functional interrogation of complex biological processes. Gene editing in primary T-cells represents an important research tool for the development of T-cell based immunotherapies, the study of the autoimmunity, the understanding of host-pathogen dynamics that drive HIV replication and latency, and creation of chimeric antigen receptor (CAR) T cells for the treatment of various cancers. While these cells have proven resistant to traditional transfection and transduction approaches for the CRISPR-Cas9 gene editing, recent advancements in ribonucleoprotein (RNP) delivery have allowed for efficient primary T-cell editing for the first time. In this webinar, we will present a workflow for the design and delivery of CRISPR-Cas9 RNPs to primary, human T-cells by electroporation. This platform supports the high-throughput, arrayed generation of hundreds of specific gene manipulations in only a few hours time without the use of recombinant DNA or lentiviruses and without the need for selection markers. This approach is widely adaptable to an array of downstream applications and protocols for the study of diverse T-cell processes. 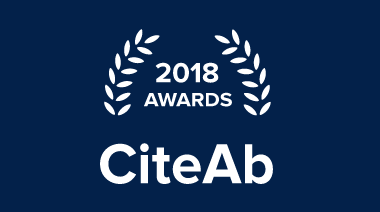 Proteintech has been highly commended by CiteAb as the ‘Antibody supplier to watch in 2018’ in this years’ CiteAb awards. The CiteAb awards recognize and reward the best suppliers of research reagents worldwide. ‚Antibody supplier to watch in 2018‚ is an exciting award that looks at growth trajectories, recognizing the company with the largest percentage increase in citations based on data gathered between January 2017 and December 2017. Back in 2016 Proteintech also received recognition for their exciting validation initiative. Proteintech was awarded the prize for the ‚most exciting antibody validation initiative‘ in the 2016 CiteAb antibody awards. The award recognized Proteintech to have the best antibody validation initiative in the industry and was judged by F1000 Research. Improve your results – get your own Proteintech antibody! Curiox Biosystems Announces an Exciting Innovation in Flow Cytometry! New DA-Cell™, a novel cell processing technology, enables superior staining and retention of suspension cells using centrifuge-less washing. The DA-Cell Platform is a breakthrough innovation device with a uniquely designed wall-less plate that utilizes the same DropArray technology from the original DA-Bead plate while incorporating additional patented features that allow for laminar-flow washing with a 96-well dual nozzle washer. Cells can be gently washed with this novel centrifuge-less process offering significant benefits over the traditional centrifuge method for flow cytometry applications. Be one of the first to try this revolutionary technology! Our new web appearance shall offer you a modern and useful tool to support your research. You will find comprehensive information split into 12 product categories combined with a product search to navigate through our product database for specific information, e.g. datasheets, prices, … . The new website introduces all of our 48 international suppliers offering 1.000.000+ products. The section „Latest news“ will guide you through innovative solutions for your research, coming exhibitions as well as some information about what´s going on at THP. A detailed overview where you can find us in real life at exhibitions can be found in our exhibition calendar. For us it is of importance that you know who we are and how to contact us. Therefore we included a contact person for each product category and at the product search site. An overview of all contact persons at THP and within Life Science can be found HERE. Customer satisfaction and service are our highest priorities.